To help prevent error coins from leaving the mints or even from being produced in the first place, each coining facility has installed riddling devices. These are mechanical sifters that cull out undersize, oversize and mis-shapen planchets and coins. In theory, this should prevent all but normally-sized and normally-shaped coins from leaving the mint, but the evidence found in the error coins themselves proves otherwise. Though most of the errors that manage to pass through the mints’ quality control stations are of approximately normal configuration, some wildly oversize or mis-shapen pieces do escape. This is sometimes no accident, as mint employees have been caught selling error coins to collectors and dealers for a nice profit. The U. S. Mint is very aggressive about prosecuting this crime, but the high value assigned to rare error coins remains an incentive for mischief. It was not always so. 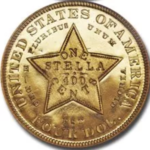 For generations, collectors of United States coins dismissed error pieces as simply curiosities, considering them to be less desirable than normally struck issues. All error coins were lumped together somewhat condescendingly under the acronym of FIDOs (Freaks, Irregulars, Defectives and Oddities). It wasn’t until the 1960s that the collecting of error coins finally gained some respect, clubs devoted to their study being established at that time. Since then, the premiums attached to error coins have risen dramatically. Concurrent with this rise in value, serious researchers have been able to determine exactly how each type of error coin is produced and, in so doing, have revealed much about the minting process in general. Dealers and collectors of mint errors classify each piece under one of three headings: Planchet, Die or Strike. This handy “P-D-S” system is easy to remember, and it can account for just about any type of error one encounters. Of course, some coins are the product of multiple errors. 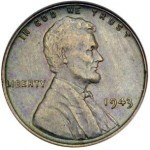 For example, a defective planchet can lead to a mis-strike, with the resulting coin being the product of both “P” and “S” errors. For the most part, however, mint error coins fall under just one of the three headings. Let’s examine each one and the errors that might result from it. A planchet is distinguished from a simple coin blank by having a raised rim. This rim is applied to the blank by an upsetting mill, which compresses the blank’s edge as it is spun between two beveled surfaces. Planchet errors encompass all mistakes resulting from a defective blank, whether or not it has passed through the upsetting mill. The most basic type of planchet error is when the wrong planchet is fed into a press. Since both the loading tube and the die collar are sized for the appropriate denomination of coin, only planchets of the correct or smaller size can be struck within the press. This means that a dime planchet can be struck by quarter dollar dies, but a quarter dollar planchet cannot be struck by dime dies, since it won’t fit into either the feeder tube or the collar. These wrong planchet errors typically occur when a few stray planchets of one denomination remain within a hopper that is subsequently loaded with planchets for another denomination. Sometimes finished coins are still in the hopper and become overstruck with different dies. Another planchet error, one that is highly sought by collectors, occurs when a planchet intended for a foreign nation’s coinage is struck by dies for a United States coin. This type of error was more common before 1984, when the U. S. Mint cut back its production of coins for other countries. It still may occur, however, as planchets are supplied to our mints by commercial vendors, and these vendors also service the mints of other countries. It’s not impossible for a shipment of planchets intended for one country to accidentally include those of another. A fairly common planchet error is popularly known as a “clipped” planchet, though the more correct term is incomplete planchet. When the planchet punching press does not advance the metal strip properly, the resulting strokes may overlap previously punched out metal and produce planchets that are incomplete. Straight or irregular clips occur when planchets are punched from the peripheries of the strip. If these incomplete planchets are not caught by the riddling machine, they result in coins that are likewise missing a portion of their area. The term “die error” is something of a misnomer, as anything associated with a damaged or mis-made die is more correctly described as a variety. Still, such flawed pieces are typically sought by collectors of mint errors and are described as error coins. Perhaps the most popular die errors are major die breaks, commonly known as “cuds.” These occur when a portion of the die breaks away as the consequence of a progressive crack. Though made of tool steel, dies suffer from the repeated stress of striking planchets, and they will wear and, in some instances, crack. As these cracks deepen and reach from one edge of the die face to another, that portion defined by the crack may actually fall away from the die. The planchet metal then fills this void, the resulting coins showing a featureless blob where the die broke. 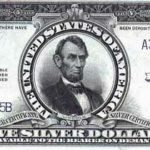 Striking errors are the third major class of mint errors, and these often produce the most dramatic and desirable error coins. One popular error is the multistruck coin, in which a coin fails to eject from the press and is struck again and again with multiple images. 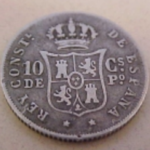 Off-centered coins are relatively common, and they occur when the planchet is not properly centered within the collar. Broadstrikes are common, and they’re the result of the collar jamming or otherwise failing to enclose the planchet. If the collar becomes jammed within the press, a partial collar error can result in which some portion of the coin’s edge is properly formed while another portion is broadstruck. Things really get exciting when a coin adheres to the die face and then becomes a die in itself. The next few coins become brockages and will be either two-headed or two-tailed, one side showing a transposed image courtesy of the stuck coin. The piece adhering to the die will quickly become distorted, often wrapping itself around the die’s neck, forming a cap. There are numerous variations of this basic scenario, and the error coins that can result from it are often spectacular. From the NGC Photo Proof Series. 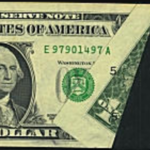 Copyright © 2001 – 2014 The Numismatic Guaranty Corporation. All rights reserved.